A re-cap of the connection (stopover) rules if using points. I know this is probably somewhere in your post. Maybe an update of the previous write up. To keep things simple I’ll address this as it pertains to international transoceanic award tickets. Stopovers and open jaws are one of the best ways to maximize award tickets. So let’s recap the stopover and open jaw rules of the four (soon to be three) “major” US carriers. For those of you not familiar, a stopover, as the name suggests, is when you stop in a city enroute to your destination. Any stop of less than 24 hours along the way at an international city doesn’t count as a stopover for the purposes of an award. There’s no limit to how long your stopover can be, aside from travel having to be complete within the validity period of the ticket, which is one year from the date of issue. An open jaw is when you fly into one city and out of another. For example, say you’re flying from the US to Asia and want to fly into Singapore and return out of Bangkok. That would be considered an open jaw, as illistrutated below. American allows a stopover only at the North American transoceanic gateway city. That’s defined as the city at which you board your transoceanic flight (or if we’re going to get technical, in the case of a flight marketed as a “direct” flight, that might not be the city at which you actually “take off” on your transoceanic flight). All American awards are priced as one-way tickets, so you’re allowed a stopover at the North American transoceanic gateway city in both directions. So for example if you’re traveling from New York to Hong Kong via Los Angeles in one direction and San Francisco in the other direction, you could stop over in both cities (I feel dumb using the arrows, but I couldn’t resist) since they’re you’re transoceanic gateway in both cities. You can have layovers of up to 24 hours enroute, but no other stopovers are allowed. Since awards are priced as one-ways there’s no need for any open jaws, since that only applies in the case of a roundtrip. If you’d like more stopovers enroute on an American award you can book one of their distance based awards. Delta allows one stopover of more than 24 hours AND one open jaw per roundtrip award ticket. So for example if you’re looking at traveling from Los Angeles to Australia you could route via Guangzhou on China Southern on the outbound and have a stopover there for a few days. Then you could fly into Sydney, and let’s say you wanted to return out of Brisbane as you’d make your way between Sydney and Brisbane via ground transportation. That would be possible on a single roundtrip award. United is probably the most generous of the bunch in that they allow a stopover and double open jaw on a roundtrip award ticket. What that means is that you can start and end your trip in different places (for example, start your trip in Chicago and end it in Newark), and fly into and out of different cities at your destination (for example, into London and out of Athens), while still having a stopover (as illustrated below, you could have a stopover in Madrid on your return from Athens to Newark). This is extremely generous as most other airlines would consider two open jaws to simply be two one ways, which doesn’t entitle one to a stopover. But with United you get the best of both worlds. US Airways allows either a stopover or an open jaw, but not both. The added restriction is that the stopover has to be at either a US Airways transoceanic gateway city (in other words, at one of their international destinations) or at a Star Alliance hub. I find they’re somewhat loose with enforcing the Star Alliance hub rule, mainly because many US Airways agents don’t know the Star Alliance hubs, especially for countries they’re not familiar with. In other words, every city in Japan is an ANA hub, every city in South Africa is a South African Airways hub, etc. So for example you could fly from Philadelphia to Munich and then return back to Philadelphia with a stopover in Paris on the way back. Alternatively you could forgo the stopover and fly into and out of different cities at either your origin or destination (for example, out of Philadelphia and return to Charlotte, OR into Munich and out of Paris). It might be better if, under the American section, you said…. “You can have layovers/connections of up to 24 hours enroute but no stopovers (more than 24 hours between flights) are allowed.” That seems less confusing then trying to differentiate a stopover of less than 24 hours (which is actually a layover/connection) versus a stopover of greater than 24 hours. For American airlines stopover rule, you indicated that “you can have stopovers of up to 24 hours enroute…” Are you sure it’s only up to 24 hours? I think there is an error here. Do these stopover and open-jaw rules also apply to award travel on partner airlines? What are the restrictions for intra-region award tickets? Lucky is hawaii considered a transoceanic flight, which would entitle you to a stopover? For American , are stop overs allowed on partner flights. So for example, can I travel from MAA to HNL with stopover in ORD using ETIHAD? So can I have a stop over in ORD for more than 24hrs. Can I use united miles and fly with LH JFK-FRA-NRT stop over in NRT then BKK? So im, flying from JFK to BKK with a stop over in NRT on LH?. On United, are you allowed two stopovers and an open jaw? For example, using your itinerary above, could you fly Chicago with a stopover in London continuing on to Amsterdam and then fly back from Athens to Madrid continuing on to Newark? Also, you mention stopovers can last up to a year. What if the airline has not released their schedules that far out? Can you add in the stopover after the fact once the flight you want that may be 11 months later finally gets released? This is an extremely useful post, thank you! Also, sometimes when you try to book a United flight with United miles, a US Air flight comes up. If that happens, which rules apply? United or US? Same question for all other partners, if I use United to book a Swiss flight, do the United rules apply? So if I originate from Asia, say SIN, I could use HKG as a transoceanic stopover city if I travel to LAX? @Eric If you use UA miles, UA rules apply no matter who the carrier is. You can fly the ORD-LHR Stopover, LHR-AMS Destination, OpenJaw ATH-MAD-EWR. You are using two OJ’s and One SO in that routing and its valid even if some UA agents argue that your stop in AMS is counted as a SO. Just hangup and callback for some one else to ticket it. @sumanth yes you can do that if you are using AA miles. Does not matter who the carrier is. @Abhinav The rules apply to all partners of the airlines whose miles you are using. The tickets are issued by that airline and not the partners. Hence its rules. @JimR AA stop overs are only allowed within NA. So you can’t have a SO in HKG that is longer than 24 hours. @Jason yes your routing is valid but not sure if it goes over the MPM. @Lucky How can you find “direct flights” from your location say SEA? @Jason MPM is maximum permitted mileage and UA allows you to cross the MPM of JFK-BKK by 15% or so. But I dont see a TATL MPM JFK-BKK, so am not sure. Try booking that route with SO at NRT on UA website and see what it says. It might work though. Wow, it seems you could use these rules to get a free one way on every award ticket. In fact, I bet I could start a whole blog about getting free one ways on award tickets! Do you know the defacto number of segments allowed on each airline award ticket? I think it’s 12 for UA and 8 for US. What about AA and Delta? @Lucky Do you know the defacto number of segments allowed on each airline award ticket? I think it’s 12 for UA and 8 for US. What about AA and Delta? I currently have an award booked out of PDX to BKK and then SIN-PDX using United miles on partner airlines. Is there anything I could tack on to this at the end without increasing the miles cost? For United on the return, I’m assuming you can return to ORD from ATH instead of EWR correct? Also, from that itinerary, would one be able to add positioning flights from/to LAX both ways for free? (1) For a US Airways 90k US-N Asia award, do you think a stopover in, say, Geneva would work? Or would it have to be ZRH to be considered a proper Star Alliance (LX) hub? (2) Say the eventual itinerary is MIA-ZRH/ZRH-NRT. Since US only allows RT awards, would you have to return via Europe or could you return transpac, say NRT-ORD-MIA? I used an AA award to Istanbul with a stop over of 1 week in Madrid. We booked over the phone and was the standard AA 40k miles in October. My friend who I traveled with did one stop over in London for 1 week as well. same 40K plus phone fee. You neglected to mention AA’s distance-based awards, which allow for several stopovers. @ Eric — I changed the word “stopover” to “layover.” Hopefully that clears it up. @ collector — That’s correct, aside from the stopover at the transoceanic gateway city, you can only stop anywhere else enroute for up to 24 hours. @ Abhinav G. — Yep, the above rules apply to travel on partner airlines as well. @ avidtraveler — Was trying to save that for a separate post to keep things really simple, though aside from Delta no stopovers are allowed on an intra-region award (though an open jaw typically is). @ Seth — Delta will allow a stopover, though aside from that they’re not allowed. @ sumanth — Absolutely, that would be allowed, assuming Chicago is your transoceanic gateway city. @ Jason — Yes, but only if it were a roundtrip award. On a one-way award you’re not allowed a stopover. @ Eric — You’re only allowed a maximum of one stopover on United. However, with the itinerary you mention it looks like there’s only one stopover, unless you were planning on staying in Madrid for more than 24 hours. You can always add in a stopover at a later point after booking. However, it’ll get REALLY tricky to do so once travel has started, so I suggest doing so before departure. @ Eric — The rules always apply of the airline with which you’re booking. @ Jim R — Nope, it has to be the North American transoceanic gateway city, so you couldn’t stopover in Hong Kong. @ ikonos — I don’t believe there’s an easy way to look up “direct” flights out of a given city, but rather I just stumble across them once in a while. @ BBD — For US it’s actually 10 (you’re allowed four transfers in each direction). And for United and American it’s at least 12. With Delta it’s four in each direction. @ Austin — It doesn’t sound like you have a stopover, so you should be able to tag on a one way to just about anywhere in North America for a later date. @ yesleez — Absolutely on both counts. @ choi — That looks fine, assuming you’re not planning on stopping in Tokyo or Seoul. @ Max — Geneva counts as a hub, so you’d be fine. You could return via the Pacific as well if you wanted to. @ Jorge — How long ago did you book that? Back in the day American allowed stopovers, though not anymore. @ Ann — No I didn’t, it’s at the bottom of the American section with a link to a post on that. For the record, UA’s double OJ, IME, is highly theoretical. You can’t book it online, very few agents know about it, the rate desk doesn’t always like it, and if you actually can book it, it takes hours on hold. I booked iAd to fra to acc and back to iAd on United about 3 months ago. Can I tack on a free one way from iAd to mco? How do I go about doing that if possible. Great post! @sjs I ended up booking a double OJ unintentionally but don’t think it was difficult. @Nkk I think united would charge you change fee for that. We booked that in 2010. Maybe we got lucky ( no pun intended). thanks so much Lucky for this post, I am starting to get it.. all those flights with open jaws can you make the reservation online or by calling the airlines? If you tack on a one way will it be in the same cabin as the rest of the award? Thank you for taking up my question. I was also getting confuse between connection and stopover/layover terms. On United, how does one book a round trip flight with layover and open jaw? Online or call? I tried it online, but it tells me to call. Very useful post. I also now remembered about the distance base award on OneWorld alliance. @ sjs — Interesting, I’ve had no problems getting them to price it. @ Anatsky — Typically it’s easier to book by phone for more complicated itineraries (though in many cases they can be booked online). @ Nkk — Yep, same cabin pending availability. @ Dave Op — Happy you found it useful! With United it has to be booked by phone in most instances since their website isn’t good at pricing complex itineraries. Can we include AIR CANADA for the sake of “North America/Star Alliance” airline? Great Post and thanks for the info! I am assuming any reward tickets would have to be booked using an agent and would cost the same as if it was a more direct r/t flight. And would help to do some research on flights to take advantage of these rules.. I have always wanted to ask you the following question: Is SFO-PEK, and PEK-HNL considered as an open jaw round trip? if so, can I do SFO-PEK, PEK-SFO(stop) and SFO-HNL? @ Jerry H — That’s correct, you can do two stopovers OR one stopover and one open jaw on an Aeroplan award. @ steven — Right. In some cases you can book them online, though for more complex itineraries it can make sense to book by phone. @ jjj0003 — I unfortunately don’t think flying Beijing to Honolulu via San Francisco is legal, or else it would price. Thanks for the info – and great timing for me. Wondering if the following meets the requirements, as they are all OJ? On UA site, it wants me to call their agent, so I thought I’d ask here, first. @ Chancensam — That’s more or less a triple open jaw, which doesn’t work. On Delta, do I have to return over the same ocean as I started with? PDX-DEL via LAX and SVO on way there with stopover at SVO. Could I then return via CAN and YVR to PDX? Both directions would be below the MPM for each direction. @ nathaniel — Hmmm, I don’t think I’ve ever been able to price a Delta award to India via the Pacific. I don’t think there’s a rule expressly prohibiting it, though if it’s a valid routing you shouldn’t have any issue doing so. @nathaniel CZ’s PDX-DEL routings require travel via LAX: DEL-CAN-LAX-PDX. DL does publish a TPAC-routed MPM-based fare for PDX-DEL, but good luck getting an agent or their computers to recognize that routing. What are some possible regions to get a change for free? (i.e. schedule change, but are there other ones?) Asking esp. in regards to USAir. Thanks! @ LX — Just an involuntary change, be it schedule, product, etc. A bit delayed to posting but was hoping you could help me out. You say DL allows stopover AND open jaw but I’m running into issues trying to book a domestic award ticket (I know I know, it’s not Intl J but if it works out for 40K miles it’s a pretty good value). I’m trying to go SFO-SEA (2 days stop in SEA)- BOS, and then return JFK-SFO. That’s a stopover and an open jaw, right? I followed the conventional Delta award search advice and looked one segment at a time and each desired flight is available at medium/40K level (SFO-SEA is low level but I understand it will all price as medium). So is this rule true or not? Or am I approaching this ticket all wrong? @ Farhad — To be clear, are you flying SEA to BOS nonstop, or connecting? I suspect the first issue is that to have a stopover on a domestic itinerary it has to be a legal routing, and that isn’t one. You’re definitely allowed a stopover and an open jaw on an international itinerary, though on a domestic itinerary I believe you may just be allowed a stopover. The only award availability that came up was with stops on DL. I actually posted in the DL forum last night as well (http://www.flyertalk.com/forum/delta-skymiles/1449075-problem-booking-domestic-award-stopover-open-jaw.html#post20440471) and it looks like we figured out what the problem was. 2. It considers SEA-DTW-BOS and JFK-SFO as two separate award tickets and prices both at 40K each. Since SEA-SFO is ignored by the engine it sees a second open jaw at the end of the itinerary (i.e. it thinks you are starting in SEA and terminating in SFO). I just booked a United ticket to Europe is it to late to add a free one way to my ticket? Like to the US somewhere later from MCO. Here is what I have now. @ Kathy — It looks like you already have a stopover and an open jaw, so you wouldn’t be entitled to an additional one-way. Lucky, what about rules for one way award tickets on these airlines? Well specifically American and United since Delta and US Air don’t allow it. Specifically – I have a one way united award ticket from JFK to SIN booked at 60K Biz class. I am trying to add a segment to DEL (economy since business isn’t available) but it’s pricing with another additional 25K miles and the agent say stopovers are not allowed on one way award tickets, it’s considered a separate one way award, hence the extra miles. Is that right? Can I get this at 60K miles or will I have to pay an additional 25K miles? Please advise. Thank you. @ Tania — Are you trying to stop in Singapore for more than 24 hours? Hi Lucky, Thanks so much for responding so promptly, yes I have a 4 day stopover in Singapore. Did I screw it up by not booking delhi as a destination in one go or am I just not allowed a stopover? @ Tania — You can’t have a stopover of more than 24 hours on a one way award regardless. If it were a roundtrip award you could, though not on a one way. Thanks for the info, so appreciate it. A *diet coke* cheers to you! UA: CTS-LAX only I guess? I guess I have to ask for ANA because no award ticket under UA. It’s just one-way so I cannot get any stopovers, right? AA: Very limited award seats. But if possible, maybe CTS-LAX-DFW? Is AA and BA the only two website showing all available award ticket? @ Mavis — Neither airline will allow a stopover in CTS on a one-way award. Your best bet for CTS to the US would be American, since they’ll let you stop over in Los Angeles enroute to Dallas. The American website is the best place to see American award space, while the BA and Qantas websites are better for seeing space on Japan Airlines, Cathay Pacific, etc. 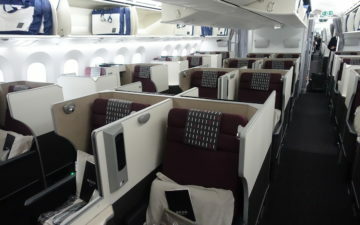 The difficult part for AA is that award seats for NRT to LAX are very limited. I checked on BA as well for Japan airlines while do not see anything early August. Do you think they will show up later? One more question, if I use my UA/AA to book ANA/Japan tickets, round-trip or one-way from PVG to CTS, do you think I can stopover in NRT? Thank you again! @ Mavis — It’s definitely a tough time of the year for award space, though I’d say there’s a good chance of space opening up as the departure date approaches. United allows a single stopover on a roundtrip, while American wouldn’t allow that unless you were on one of their distance based OneWorld awards. On UA award, are you allowed to use the open jaw on your stopover, or do you have to use it on the front or back end? For example, could i book a EWR-IST(IST is destination) IST-MUC(MUC is stopover)FRA-EWR(open jaw between Munich and Frankfurt)itinerary? @ Xavier — The stopover has to be at the turnaround point, so you couldn’t use it mid-itinerary. So if I want to do a stop over using AA awards for something like 300 days (how long is possible? ), how do I book that next leg of the flight? If I am booking the first leg 330 days in advance, then the second leg 300 days after that is not available until it is almost time to fly the first leg. Was thinking of a HNL-JFK(stop)-CDG flight for instance. @ Mark D. — Tickets are only valid for a year from the date of issue, so all travel has to be complete within a year of the time of ticketing. Therefore you couldn’t book a Honolulu to New York flight 330 days out, and then a New York to Paris flight a further 300 days out. Lucky-does the final stop need to be in the same region as the initial departure? I am tryin to book SJD to STL stop to ANC destination to STL on United. It is not pricing out for me. It will if I enter final flight as ANC to any airport in Mexico. @ Lynn — You’re only allowed a stopover on awards between regions. If your return is from Anchorage to St. Louis that’s not an award between regions, so you wouldn’t be allowed a stopover. I called United to see if I could stopover in FRA (transit) from BKK to ORD, but the agent said no since it would be considered as two stopovers. So I am not sure how it is possible to do the proposed route: ORD – LHR – ATH – MAD – EWR. I would love to find out! @ sue — You could transit Frankfurt for less than 24 hours, but you can only have a single stopover. The example I had given was to fly from Chicago to London, have an open jaw, and then fly from Athens to Madrid (and have a stopover there) to Newark. The flight between London and Athens wasn’t included, so there would only be one stopover. @ lucky – thank you for the prompt response! One more question for you. In #23 post, one asked if domestic routes can be added to your proposed UA itinerary on both ways (LAX-ORD and EWR-ORD). Looks like you said yes. I want to clarify if you could actually stopover in ORD and EWR both ways or just transit them. @ sue — The question in comment 23 was regarding positioning flights. Those wouldn’t be stopovers, but rather just adding connecting flights to the itineraries to round it out. Hope that makes sense. This might be a pretty common challenge: Planning a UA Caribbean — NYC (stopover) — Europe (destination)– NYC (home) trip. I found a Saver Award flight I can use as the first leg but it would be better if I could fly Caribbean to NYC one day later. When I search one way there are Saver flights that day, but they connect through DC and I can’t add them to my Europe round trip. Is this a quirk of united.com that can be overcome by calling or is it breaking the award rules? Also, I’m planning a couple 23 hour stopovers in Europe: am I correct that I have to call in to make those happen? @ dubaych — Sounds like a website glitch. They should be able to book it correctly by phone. Can you have TWO stopovers and NO openjaw on United? I would like to depart and return New Orleans going to Santorini (Thira) Greece. Want to STOPOVER in Vienna oneway and STOPOVER in Athens oneway! Is there a way to make this work . . . Calling in stopovers, Openjaws, whatever . . . I have US and UA miles for business and could use either. @ BDF — No, you’re only allowed a single stopover on an award. Best you can do is (for example) have a stopover in Vienna on the way out, continue to Santorini, and then have an open jaw out of Athens. That way you’d only have to purchase the flight between Santorini and Athens separately. Could I stopover Vienna . . . Then have two Openjaws after Vienna stop …Prague to santorini … Athens new Orleans? Still getting separat flight santorini to Athens? @ BDF — You couldn’t because the stopover has to occur at the origin or destination (the turnaround points). It can’t be had enroute. I’m confused by your answer . . . Why can Vienna not be my stopover enroute to Santorini from the US? @ BDF — You can stop over in Vienna, but couldn’t do an open jaw between Prague and Santorini and then between Santorini and Athens. This is because the open jaw has to occur at your origin or destination. In this case Vienna is a stopover point, and the open jaw can’t occur between the stopover city and another city. It seems to me that the EDI-CPT routing (with stopover in IST) is one open jaw, and then the JNB-DUB route would be the second. 2 open jaws and one stopover, which should be allowed on United, or am I missing something? It wouldn’t price out on the United site, and when I called, the agent told me I needed to fly back into my point of origin (EDI, in this case). I asked him if he was sure, and he said yes, that the computer wouldn’t allow him to price it out, and that it’s programmed with all the rules, etc. Is he mistaken or am I missing something about my routing? Flight are all on Star Alliance partners, but since I would be using UA miles, that shouldn’t matter, correct? @ MPM — That routing is fine and you’re right about the open jaw and stopover rules. Sounds like you got a bad agent. I’d hang up and call again. Thanks! Appreciate the quick reply! Hi Lucky; May be you can help me figure this out. I live in Chile, and I’m planning on flighing to NY on October. I would love to make a stop over in Cusco Peru. Do you know if that’s possible with AA frequent flyer miles? Many Thanks!!!!! Hi Lucky. I’m one of your lurkers, soon to move to Seattle actually. I’m rarely one to post anywhere, but currently have a problem (aka an opportunity?). 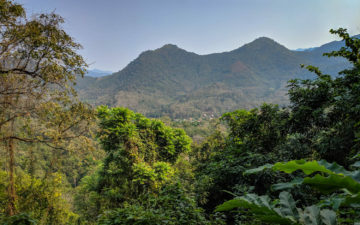 My wife and I are currently in Thailand, in the middle of a United roundtrip award (economy). Our outbound leg was USA to Nepal, with no stopovers. Our booked return leg is Bangkok to Cairo, with a stopover in Cairo, then Cairo–>Toronto–>Denver. We’re supposed to fly to Cairo in about a week … though with the U.S. evacuating personnel from Egypt, that no longer seems reasonable. So I looked into alternate ways home (Bangkok to Denver), with a fun stopover, and found a stopover in Tokyo. I called United to book it (they agreed to waive the change fee, even though they don’t currently have a travel advisory to Egypt … huh? ), but was told that changing the routing to go through Tokyo would make it a round-the-world itinerary and cost more in miles (and she couldn’t even figure out how much more). Does this sound correct? She said that we’d have to fly back through “Europe”, and could take a stopover there. (Cairo, then, counts as “Europe”? She couldn’t elucidate.) Does this sound correct? I suppose my overall question is, should I try again to go through everything with a different agent (she *did* sound fairly knowledgable), or is this correct and I should hunt for a fun stopover in Europe (continental Europe?)? Thanks very much, if you or anyone else here knows the United subtleties so well. @ Kurt — Agent is wrong, I’d suggest hanging up and calling back. Making that change shouldn’t be an issue. For the Singapore trip I plan to use avios. Is there a better way to book this ? Thank you. It took two more lengthy calls, and apparently a supervisor to review (possibly over getting change fees waived because of Egypt — as United apparently does not yet have a travel advisory for there…) but in the end you were right. We’ll be routing home through Tokyo now. Thanks again for the timely nugget of information. @ Abhishek — Nope, that sounds like a good plan. I’d use Avios between Hong Kong and Singapore as well. @ Kurt — Happy to hear it worked out! hi lucky – thanks for such an amazing and helpful post. i am trying to understand this whole open jaw and stop over concept since this is new to me. my first question, which is probably a stupid one, but does are open jaws and stop overs allowed on purchased flights or only on awards? just wanted to confirm. also, i am trying to book a trip from HKG to LHR, LHR to NYC, then NYC to HKG. i am assuming this doesn’t work because it is over the mileage limit? is there anyway i can book something like this or do you have any other ideas for this newbie here. @ Ang — It depends on the fare, though it’s only consistently allowed on awards. 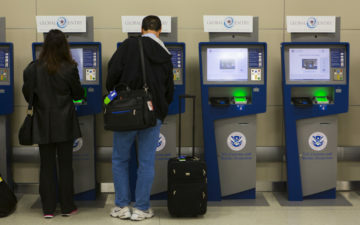 For revenue tickets open jaws will sometimes price the same as two one-way flights. Sadly the itinerary you suggest would be over the mileage limit, as you can’t go from Europe to Asia via the US. The best you’d be able to do is book three one-ways, unfortunately. Traveling DEN-YUL-ZRH. From what I read here, using UA miles can I do a 23 hour stopover in YUL on the way out? @ Thor3 — You sure can. hi lucky!!! happy fourth!!! thank you so much for responding. i actually called up united and i was able to book the itinerary i asked you about and i got it for 65k points so i guess it worked? this is my first time redeeming miles for a flight. i am trying to take advantage of the free one way on united, but can i also do the open jaw ? i am thinking not because i read from my research that US/Canada/Alaska are all the same region and this won’t be allowed? thanks so much lucky. i really appreciate your help and also using your personal time to write really helpful blog posts! please keep it up! i’m sorry, i just realized you responded and said it’s mainly allowed on awards. so would my second trip i posted above be allowed if i were to redeem miles? i am assuming it wouldn’t be allowed if i pay cash? @ ang — Sorry, I must’ve been really jetlagged, because that routing is clearly legal. You can’t go from Europe to Asia via the US, but you can go from Asia to the US via Europe. Well done booking that! The return however definitely wouldn’t work for the itinerary you’re looking at. If you’re trying to add a “free one way” the routing still has to be legal, and you can’t legally get from Europe to Newark via Alaska. You could terminate in Alaska and have a stopover in Newark on the way, but couldn’t return back to Newark. If you paid cash for that ticket you’d be charged for the cost of the individual one ways, or at least the fare would “break” somewhere. @ Nathan — Sadly the downside to United’s routing rules is that while they’re very generous, they’re not published, so there’s no recourse really. When you booked, do you remember if the computer auto-priced what you booked, or if you had to hold a while for the agent to manually price it? Hi Lucky, Yes, this was definitely manually priced. But manual pricing seems to have some computer input, because the lady who was manually pricing it said, “I’ll try but I don’t know if it will let me…” when I asked to add the stopover in Africa. And then she said, “It’s letting me put it in at the same award level.” So “it” must be some all-knowing computer program, no? @ Nathan — I’m afraid this is the downside to United’s overly generous routing rules. If it was manually priced and an agent noted the record you may not have much recourse, unfortunately. Best I can recommend is calling and hoping an agent doesn’t see the notation, but outside of that there’s nothing that can really be done. Hi Lucky, that is a really great post. One silly question, how can I book tickets with stopover or openjaw? The online website only give me 3 options (one-way, roundtrip and multi cities). Do I have to call in to book the ticket? Then is it possible for me to research the availability date before calling in? Thanks. @ SeanQ — Which airline are you trying to book through? Typically you’d want to just select the “multi-city” option. You can first research availability by looking up space for one-ways, and if there’s space for that then the individual flights would also be available as part of a more complicated itinerary. If BA shows award availability for MH, does that mean the seat is available for Delta booking? Also, is KE in J hard to come by on award out of JFK? @ mangoceviche — Delta doesn’t let you route from the US to Asia via Europe, so that wouldn’t be legal. Yes, the Malaysia availability that Delta has access to should be the same as what you see on BA’s website. Korean Air award space isn’t impossible to come by, though keep in mind there are tons of blackout dates and it gets pretty tough when you’re searching for multiple award seats. I have run into some issues as I was not fully aware of the rules and need some advice. A while back when I learnt about Avianca TACA I bought some miles under the 100% bonus miles promotion. Since then the award chart has been devalued and cash potion of miles + cash purchase has gone up so I was trying to liquidate my miles by cashing in for a 1 way award ticket and buying return one way using united miles for my Dad. After doing my research I found availability on DEL-ATL with a connection in FRA. For return I wanted to book DFW-MUC with a connection in FRA. Stopover in MUC for 3 days and then MUC-DEL. Hence I purchased some more miles so I have 65K to redeem. Even though I have found all the flights with availability, the return on United cannot be booked because apparently stopovers are only allowed on Round trips. Any other creative ideas on how to use a combination of Lifemiles and United miles to go from DEL to ATL outbound and return from DFW to DEL with a stop over in MUC. @ Unclesam — That’s a toughie. Wish there were a trick, but if you need the stopover only real option is to book the return as two award tickets, or otherwise get enough United miles to book the roundtrip, and then you can have the stopover for “free.” Then you can use the Lifemiles for something else. but the UA agent is not able to book this itinerary as well. What I am doing wrong? @ Unclesam — A bit confused with your terminology (open jaw is when you fly into one city and out of another, so I suspect you mean stopover in Frankfurt and not open jaw). But assuming what you’re doing is flying from Delhi to Atlanta, then from Dallas to Frankfurt with a stopover in Frankfurt, and then from Frankfurt to Delhi, that should be legal. I’d try calling again as that’s absolutely allowed. What I meant was that the outbound journey is DEL-FRA-ATL with a 4.5 connection in FRA. Return is DFW-FRA-MUC-DEL with a 3.5 hour connection in FRA and a 3 day stopover in MUC. Open Jaw comes from the fact that outbound ends in ATL however return starts in DFW. Hence, in summary, 2 connections both in FRA (once in each direction). One stopover in MUC and one open jaw between ATL and DFW. @ Unclesam — And that’s totally legal. You’ll want to hang up and call again. Thanks. One last question: Once I have bought the award ticket for the above mentioned itinerary and later want to reduce the stopover in MUC from 3 days to 2 days if award seat opens up on Dec 3, is that possible without incurring any additional cost. @ Unclesam — Unfortunately unless you have status that would trigger a change fee nowadays. Luckily I now have lowly silver status due to United – Marriott tie up. Does that help? @ Unclecam — Yes, if you’re a Silver you would pay no fee to make such a change up until 21 days prior to departure, and at that point you’d pay $50. Lucky – – just curious which software or mapping site you used to make the example graphics? @ Mike — I used Great Circle Mapper (gcmap.com). Lucky-Unfortunately I already booked a free one-way to Europe with AA (not the return yet). Can I modify the outbound award with a free one-way? Currently ORD-VIE, can I add PHX some time before the Europe trip and would that cause fees for adding this? @ PamB – That’s certainly possible, but if the origin or destination cities change you would pay a $150 fee per passenger. Lucky love your blog and aprreciate all the help you have given me. Looking to go from SDF to MLE and back about a year from now. I can position myself easily to ORD or NYC if I need to originate somewhere besides SDF. The trick is I want to do a stopover either on the outbound or inbound at AUH for a couple days to visit a friend. ideas? or do you need more info? @ Doug — Thanks for reading! That’s a real toughie. On one hand Etihad would be the most convenient for a stopover in Abu Dhabi, but the issue is that American doesn’t allow stopovers of more than 24 hours, so you’d have to pay for that as two separate awards. In your shoes I’d probably still book that if you value the convenience of a direct flight. Otherwise I’d consider a OneWorld distance based award on Qatar Airways using American miles, which could be a very good value as well. Lucky I have zero experience in booking alliance awards (one world). Can you point me to a link or somewhere to research and educate myself? which priced out at 42,500 miles. I don’t understand everything in this fare calculation, but my assumption was that this was a round trip ticket with one stopover (IST), NAP as the destination, and one open jaw (start RDU, end GVA) which prices at 42.5K miles because ecconomy saver awards are 30K from RDU to NAP and 12.5K NAP to GVA. I have twice tried to change the reservation to add a second open jaw at IST by adding a segment from IST to SZF on 5/19 and keeping everything else on the itinerary the same. The first time I tried the agent put me on hold and came back and said I could not do so because I am only allowed one open jaw, which goes against info in the Wiki on this thread and others’ experience. When I tried again a week later, the agent put me on hold and came back and said I could not add a stopover because this was a one-way ticket. This doesn’t make sense because one-way tickets do not allow stopovers and it would seem I have a stopover either in IST or NAP. If this is not a round trip, then I should have been charged 30K RDU to IST, 12.5K IST to NAP, and 12.5K NAP to GVA or 55K instead of 42.5K award miles, correct? I didn’t push the issue very hard with either agent as I was worried they might find something wrong with the routing I already have ticketed. What does the fare description indicate as far as one way vs. round trip and, if I have a stopover, is IST the stopover and NAP the destination, or is IST the destination and NAP the stopover? Should I continue to keep calling and try different agents to add the leg from IST to SZF? Or do I risk exposing something wrong with my current award? @ Jim — The calculation doesn’t say anything about roundtrip vs. one way. I’m a bit confused, where would you add a one-way from IST to SZF? Is that in place of IST to NAP, or where? I was hoping that my original routing had my destination as NAP instead of IST. If so, my origin (RDU) and destination (NAP) would remain the same, so I believe I would only be subject to $75 change fee if I could get an agent to ticket the change. Basically, what I am trying to do is change the stopover in IST to an open jaw so the ticket which originally had 1 stopover (IST) and 1 open jaw (GVA/RDU) will now have no stopovers and 2 open jaws (SZF/IST) and (GVA/RDU). @ Jim — So I totally see where you’re coming from with your thinking. The problem with United’s routing rules is that they’re not published, so we can really only rely on the computer to price things. So regarding your ticket, per my interpretation of the rules you wouldn’t even be allowed a stopover, since stopovers are only allowed on roundtrip awards between regions (same as when you book an award within the US — you’re not allowed a stopover). So I’m surprised you were able to book a stopover to begin with, since only one direction is between regions. So I interpret the rules the same way the United agent does, unfortunately, though see your thinking. If you call often enough you may be able to find an agent willing to manually price it, though to be honest I doubt it. Looks like an awesome trip, though! I was able to ticket the current award on united.com. Since it appears I have an award that should not have ticketed at 42.5K, would you recommend against continuing to call to try to change the stopover to an open jaw and instead burn another 12.5K for a one way flight from IST to SZF? @ Jim — Well if the ticket is issued they have to honor it. The worst they can do is not allow any other changes, but that’s the extent of your risk for trying. 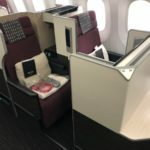 May I ask whether it is possible to use 120000 miles total for business class round trip to go from Asia via Europe to US and back to Asia on United with the stopover and open jaw options? for example Hong Kong to Budapest to New York then back to Hong Kong. Thanks! @ Mandy — Yes, you can route from Asia to the US via Europe with a stopover in Europe and open jaw for 120,000 United miles in business class. Hi Lucky, when I search on United, I keep getting error messages even though I choose the multi city option, and I also check via the one-way award option to make sure all the flights were available. Do you know why? The tentative route is: HKG to BUD then PRG to NYC then NYC to HKG. Thanks! @ mandy — There are potentially two issues at play here. 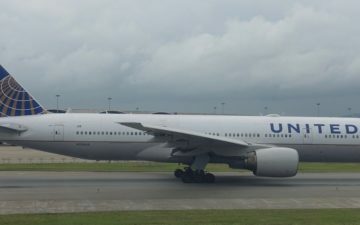 The first is that United’s website will often now display multi-city itineraries even if there’s space on the individual segments, so you end up having to call. But the bigger issue is that you’re only allowed an open jaw (flying into one city and out of another) at your turnaround point. In this case that means either in the US or Asia, but not in Europe. Lucky, do you mean that I can do HKG to BUD to NYC to HKG; but not like fly into Budapest but fly out of Prague to New York? Thanks! @ mandy — That’s correct. Hi Lucky, using AA miles do you know why YVR-SEA-SFO (stopover)-HKG is pricing out as two awards? Thanks for all the helpful info! @ Jh — It should be pricing out as one. How long is your connection in Seattle? Your assistance would greatly be appreciated. I booked a 62,500 mile first class award ticket from Miami to Washington Dulles, layover for 8 hours, then Dulles to London (LHR) on American Airlines in March 2014. Would it be possible to change the itinerary to go to Hawaii (HNL) in July 2014 using the free one way stopover rule? @ Phil N. — You could have done Hawaii to Miami (stopover) to Europe if your transoceanic flight departed out of Miami. That being said, you have to fly it in the correct order. You cant do US mainland to Europe and then later do Hawaii to US mainland, since that’s not the logical “flow” of the trip. Houston – Singapore – Hong Kong (Stopover) – Houston. I wanted to use the openjaws as one ways for the first two legs. This is with United. @ Jon — No, that wouldn’t be valid. The open jaw can only be at the turnaround point, so you couldn’t just add the one-ways to Vegas or Toronto. Hello all, I’m trying to figure out why the last leg of the following doesn’t seem to show up as a free one-way on Delta/KLM. What about including co-terminals for the US Airways stopover, i.e. if I wanted to fly to Europe > into BRU / out of FRA > and fly out from JFK but return through EWR, would that still be counted as only one stopover (in Europe) or two, because of the different NYC airports? @ Carl — Generally switching airports within a city is fine and wouldn’t be considered an open jaw. Will this be possible, as a return trip? I.e., no more than 120,000 miles total for biz class? @ Niomi — Since you’re traveling entirely between different regions it should price as three one-ways, unfortunately. That being said, United’s website can be weird with pricing awards sometimes, so you never know, it may just price more favorably. Only way to know for sure is to try. -can i stop in a euro star non-hub on the way to asia? will this count as 1 round trip? @ Mr. Cool — Yep, that should be fine! -im assuming it does NOT work in reverse? ex: north america to euro via asia, or asia to north america via europe? -any way to make EWR-BKK[STOP]-IST-DME[STOP]-FRA-EWR 1 round-trip please? @ Mr. Cool — Yes, you can do US to Asia via Europe, but you can’t do US to Europe via Asia. So Newark to Bangkok with a stopover in Moscow on the way back is fine. Is the PHX connection allowed in this scenario? It’s pricing as two awards, not sure if because of it being US Air segments. @ E — Which airline are you flying from LAX to NRT? I guess my main question is if connections are allowed before the stopover as the main gateway on an AA award. @ E — You can mix US Airways on AAdvantage partner awards, actually. Yes, connections should be fine. American is the transoceanic carrier and publishes a fare between SJD and NRT, so that should be legal as one award. Okay thanks, just wanted to make sure before I really push for this. Seems the computer doesn’t recognize it on their end as one award. So I can actually mix US with CX? I thought you posted only AA Metal mixed with US only. Or was that vice versa? @ E — If redeeming US Airways miles you can’t mix American and Star Alliance, though if redeeming American miles you can mix US Airways and OneWorld. Sweet, much appreciated as always! @ Thor3 — Assuming you’re connecting off an international flight you should be fine with a 23hr59min stopover at the international gateway city in the US, in my experience. Or does the double open jaw have to be orig and dest? @ mangoceviche — Unless you can get CAN-BOS via SIN under the MPM (which I’m guess won’t happen), I would say no unfortunately. So if I were to replace SIN with either NRT or ICN, that would work because it’s under the MPM, right? @ mangoviche — Pending a fairly direct routing, that should be possible. I am flying from IND>ORD>honkong>CEBU, and returning cebu>honkong>LAX>Phenix,AZ>IND, where can I have an extra open jaw? using aa miles, flying business, Appreciate any help, I don’t understand open jaw that much, but I like to take advantage of AA open jaw. @ sam — An open jaw would just be if you fly into or out of a different airport. Assuming you want to originate in Indianapolis and end in Cebu, you’re maximizing the award as much as you can. An open jaw would be if you returned to New York instead of Indianapolis, for example. did you see this at youtube? Do you know if LAX-HNL(23 hrs)-nrt is a valid one way on AA/UA? I’ve been told it’s not since the long connection is at a domestic airport, but not sure if that’s the official rule? @ E — That should be fine. I’d try calling again.